Last Human Life on Earth is an awesome RPG developed by Mouse Games. In 2035 the world saw a plague that killed most of humanity and transformed the rest into zombies. You are the last human survivor in your city and perhaps the world. But you are not alone, mutant victims of the plague, the walking undead, lurk in the shadows, waiting for you to make a fatal mistake. Your life is constantly being threatened by diseases, famine, cold, and the undead. You’ll have to stay calm amid all these dangers and believe there is a way out. Explore every inch of the post-apocalyptic world to collect valuable resources, craft and create weapons, and kill all the zombies for survival. If you get stuck in the game, check out the video walkthrough and gameplay for the game. 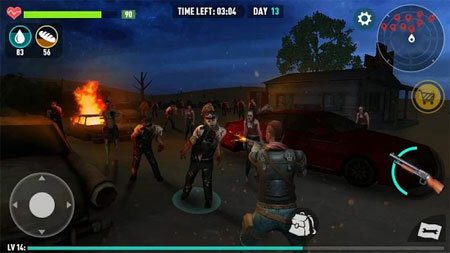 This entry was posted in Android and tagged Last Human Life on Earth Cheats, Last Human Life on Earth Gameplay, Last Human Life on Earth Guide, Last Human Life on Earth Strategy, Last Human Life on Earth Walkthrough by Marvin Tang. Bookmark the permalink.